2019 April Fashion Issue is Live! The most popular issue for the past three years, we are sure that 2019 will not disappoint. 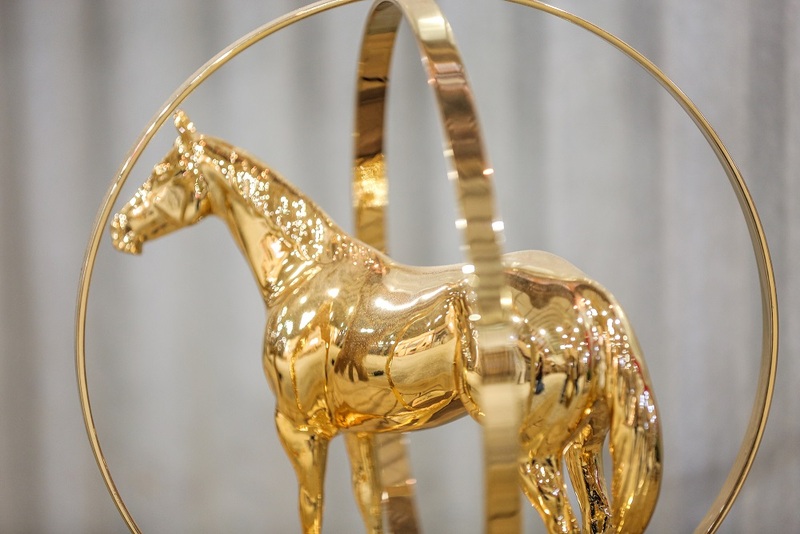 The Ohio Quarter Horse Association is pleased to announce the addition of the Super Sires program to the 2019 All American Quarter Horse Congress. The Super Sires program allows Non-Pro and Open riders to show off their skill sets while promoting the quality and efficacy of breeding to quality bloodlines. The March INTERNET Auction session offers some outstanding Western Pleasure, Halter, English and All Around horses, in addition to some Great Trail Riding horses. The 2019 April Fashion Issue is LIVE! First Ever Kimes Ranch Sample Sale Today! March Hunt Seat Issue is LIVE!!!!! Learn some horse-showing hints to “keep the cows in” during your next trail course. Ready for the Tip Off? Horse Show Management & Rider Experience Just Took Several Strides Forward With New Addition to The FastShow Apps! Silver Dollar Circuit Patterns are Posted! February Color Breed issue of Show Horse Today is LIVE!!! 60% of lameness problems in horses are related to joint deterioration. Take a minute and rate your favorites! Harrisburg, Penn.—May 10, 2018 —The 2018 Intercollegiate Horse Shows Association (IHSA) held their National Championship at the Farm Show Complex in Harrisburg, Pennsylvania.